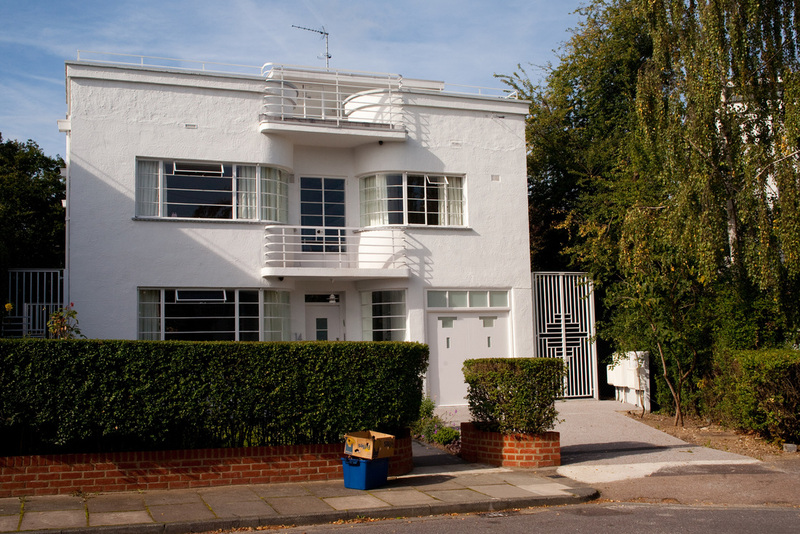 Notes: Located in Hampstead Garden Suburb, this cul-de-sac features a superb collection of streamline modern houses. They were designed by the architect G.G. Winbourne and built in 1935 for W.L.M. Estates.